When you’re getting ready to refinish your deck or any other exterior wood, there’s never a shortage of advice. Your neighbor will tell you one thing, your brother-in-law will tell another, and the kid at the hardware store will contradict them both. Terrific, a job that was already a little confusing suddenly has you even more baffled. 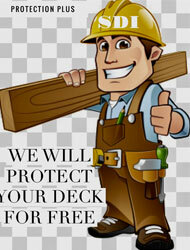 Our trained professionals will give your outdoor wood deck the ultimate in protection. Think your wood is beyond restoration? 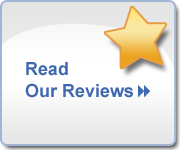 Call us today for a professional assessment. Our friendly staff can assist you from the initial estimate through choosing the stain color, and can answer any questions about the restoration process. The Natural color of your wood will affect the final look of lighter-tone stains. Every type of wood has a slightly different color. And treated lumber has a rot-resistant coating, which has a slight color. Lighter stains [such as oils, wood toned stain and semi-transparent stain] have a more transparent finish, so the wood’s natural color will show through and impact the final result. Oil is best for enhancing natural wood character in decks. Wood Tone Stain - Best for new or reconditioned wood decks. Semi-Transparent stains – Best for adding color to wood decks in good condition. Provides beautiful and durable weather protection. Applied annually or as needed to continue protecting against moisture to avoid water damage which can lead to wood rot, and to prevent harmful UV rays. Keeps your deck looking good and the integrity of your coating intact by performing thorough washing and cleaning at least twice a year. Stain and sealers will require reapplication because they begin to lose their effectiveness over time with foot traffic and general wear and tear, acid rain & snow on your deck. Scrub A Dub Industries offers a free annual inspection to determine the condition of your deck and the right time for reapplication. Our company offers an easy low cost Maintenance Contract that encompasses all your needs at a savings of up to 60% of the original initial cost.